Were you watching as President Obama officially declared an end to the seven year combat in Iraq? The brave soldiers who dedicated almost a decade to this war deserve the utmost gratitude from US citizens. We are so happy that our troops can finally come home to their loved ones, and are so thankful for their patriotism and dedication to the U.S.A. The combat in Iraq may be over, but we cannot forget the thousands of soldiers who are still stationed overseas in Afghanistan, Germany, Japan, South Korea…and the list goes on. We must continue to show our support and appreciation for our armed forces. 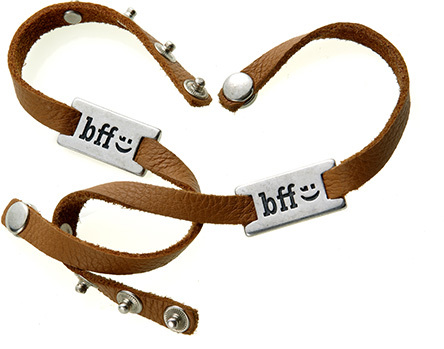 Show that you care by wearing a bff bracelet – the bracelets has been designed to unite American citizens with military service members to show support and gratitude for their service and hard work.